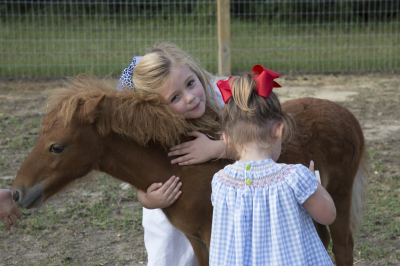 Schools, Senior Centers, 4H, Girl or Boy Scouts, what ever your group may be, there is nothing like seeing the delight on kids or seniors faces when a pigmy goat is sitting on their lap or when they are petting a miniature horse. 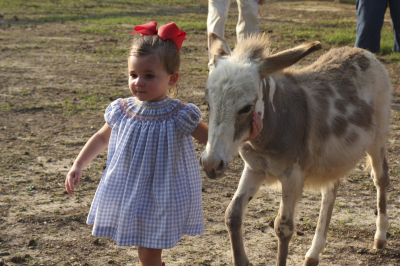 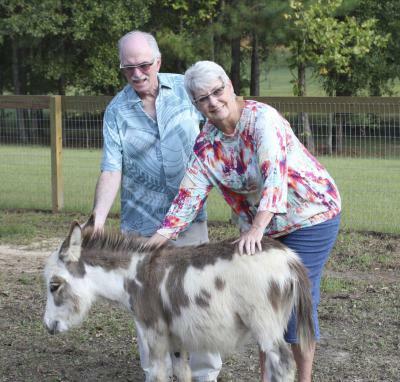 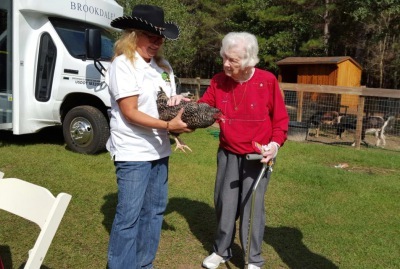 At Alegria Ranch we delight in providing an intimate petting zoo experience field trip specific to children and seniors. 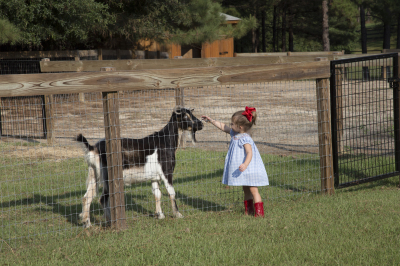 Picnic and play with the menagerie of animals such as miniature sheep and goats, miniature horses, an alpaca, giant Flemish rabbits, miniature donkeys, chickens and handsome rooster named Brad Pitt.